The Meguiar’s Supreme Shine Microfiber Towels were able to perform admirably under the most demanding jobs. They are not as cheap as other microfiber towels, but it is hard to find a quality set of cleaning tools that you can use over and over again and still get the same amazing results each and every time. Looking for a Microfiber towel? Join us on our quest to find the best microfiber towel! Are they good for polishing and waxing? Great for interior vehicle detailing! Meguiar’s brand is one of the most trusted names in the automotive care and detailing industry. I’m not going to deny that I’m a big fan of Meguiar’s paint cleaners, waxes, and polishes. 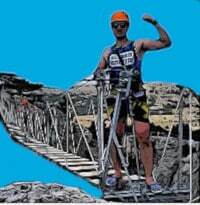 All their products are effective, easy to use, and produce epic results. In this review of the Meguiar’s Supreme Shine Microfiber Towels review, I was looking to find out is this pack of three premium microfiber towels are worth the extra price. 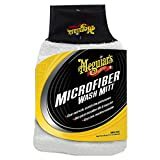 Yes, the Meguiar’s microfiber towels are a bit more expensive compared to other popular brands (unless you pick up the microfiber towels for cars in bulk. A single pack of 3 towels will cost you about [click for price]. You can buy a good set of microfiber towels for around .50 cents a pop for the Amazon Basics brand, so I can’t say the Meguiar’s version is the cheapest microfiber towel. Putting aside the cost of the towels, I wanted to find out how these will perform in a variety of auto detailing jobs. 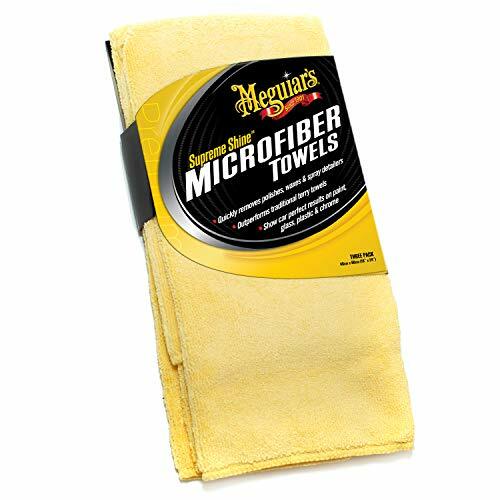 From washing the exterior, applying polish and wax, and cleaning the interior, I repeatedly utilized the Meguiar’s microfiber towels to see how well these high quality microfiber towels performed. 16.5 x 24 inches makes them a great towel for outside the vehicle, and inside! Probably my favorite microfiber cloth for waxing and detailing. Works great to remove stubborn window, glass smudges! Microfiber is a breakthrough fabric that is taking the detailing industry by storm. You can use this stuff for cleaning your sunglasses, cell phone cases, kitchen, bathroom….basically the entire house! Microfiber towels have so many uses that we don’t have near enough time to get into them in this article! What you need to know is that the Meguiar’s Supreme Shine Microfiber Cloths are designed to outlast, outperform, and outrank conventional terry cloth towels. The towels have deep dual-sided microfiber piles that absorbs at least 2x more water and dirt. You can clean deep-seated dirt and dust with a simple wipe and remove waxy residue with minimal effort. I always check the blend ratio and the density before purchasing a microfiber cloth. For the uninitiated, the blend ratio is used to determine the softness and plushness of the microfiber towel. Since microfiber is created using a blend of polyester and polyamide, the blend ratio will indicate the ratio of polyester and polyamide in the towel. However, I searched long and hard to determine the blend ratio of the Meguiar’s Supreme Shine Microfiber Cloths and I came up with nothing. The same holds true for the density of the towel. The microfiber density is helpful in determining the thickness and richness of the material. I would assume the Meguiar’s microfiber cloths to have a blend ratio of 70/20 and a density of 600 GSM based on the texture and thickness of the fabric. The texture and plushness of the microfiber towels tell me that these should perform marginally well in waxing and polishing. The softness and plushness of the towels will also make them ideal for cleaning interior glass, dashboards, consoles, and leather seats using the appropriate cleaners. Each towel measures 16.5” x 24” (width x length). The size of the towels were more than enough to buff an average-sized sedan without changing towels. The best way to find the best microfiber towels for waxing cars is the test them! This sweet ride is Truong Tran’s – but looks close to the one I worked on! But when it came to drying the exterior, I passed up on my trusted chamois cloth and used the Meguiar’s Supreme Shine Microfiber Cloths instead. I folded the towel in half and proceeded to gently wipe and dry the hood, roof, and trunk of my car. The Meguiar’s microfiber towels were able to absorb a lot of water before wringing out the cloth. I was able to dry the little Toyota in almost half the time because the softness and absorbency of the towel was simply top notch. I rinsed the towel in a bucket of water, wrung it out, and decided to clean the interior glass without using glass cleaners, vinegar, or other chemicals. I was pleased on how the Meguiar’s Supreme Shine Microfiber Cloths quickly removed fingerprints, smudges, and loose dirt on the windows and windshield. The trick is to give it a quick wipe and fold the towel again so you can buff the glass lightly. The results were pretty impressive. I proceeded to clean the (fake) leather seats while I was at it. You won’t believe the amount of dirt and grime I was able to remove with a single wipe using the Meguiar’s microfiber towels. The mustard color of the cloth was now a soiled light brown. Bottom line: They work good for cleaning windows and seats! After drying the exterior and cleaning the interior, it was time to polish the paint. I grabbed a bottle of my favorite liquid polish, which is the Zymol Cleaner Wax. (Some good spray wax would have probably been sufficient for this test.) Zymol is a cleaner and wax and contains micro-polishing agents to remove light scratches and swirl marks in the paint. The Supra I was working on had a bright red paint hue and it had a couple of swirl marks on the hood, the doors, and fenders. I applied the polish using a clean applicator. I allowed the wax to dry a bit before buffing the excess using the Meguiar’s Supreme Shine Microfiber Cloths. I turned the towel over and buffed each section of the exterior to achieve an impressive glossy shine. Making things more pleasant was the scent of the Zymol Cleaner Wax. It really felt like I was waxing on a tropical island since the product smelled like bananas, pineapples, and mixed fruit. The next step was to apply wax. I used the Mother’s California Gold Pure Brazilian Carnauba Liquid Wax for the next task. 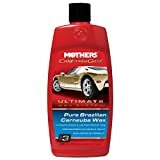 Mothers 05750 California Gold Pure Brazilian Carnauba Liquid Wax (Ultimate Wax System, Step 3) - 16 oz. I am aware the Zymol cleaner Wax already infused the paint with a light coat of carnauba wax, but that product is not exactly known for longevity. A separate coat of pure carnauba wax from Mother’s will basically seal and protect the paint while giving it a deeper gloss. I gave the bottle a quick shake, poured a small amount to an applicator pad, and waxed one section at a time. I gave the wax about 15 minutes to dry (make sure to wax in the shade!). I grabbed a clean Meguiar’s Supreme Shine Microfiber Cloth, folded the towel in half, and removed the dried-on residue. I flipped the towel to the other side and buffed the finish lightly. First, I was impressed on how easy it was to remove the waxy haze. It didn’t require a lot of elbow grease to reveal the stunning shine of the paint. The size of the microfiber towel also made it easier to wax and buff the entire painted surface without switching towels. You might be wondering about the durability of the towels. How well did they withstand repeated washing? I threw the dirty towels in a washing machine and allowed them to dry. The towels had the same level of softness and plushness even after 4 or 5 washes. I used the clean towels to dry my car after a week or so and the results were fairly consistent. The surfaces remained swirl-free and lint-free as I wiped away standing water on the paint. I did notice that the first time I used one of the towels it left a slight bit of lint. After washing the towel, it stopped leaving the microfibers behind. I love that you can use the Meguiar’s microfiber towels to clean plastic and chrome without using harsh synthetic cleaners. I also use a separate set of towels to clean the windows and glass in my home. Glass is immensely tricky to clean since using the wrong tools will leave ugly streaks on the surface of the glass. All I have to do is to wipe the glass using a lightly moist Meguiar’s microfiber towel and finish off by turning the towel over and lightly buffing the surface. But if you use the towels as a washcloth, you will most likely be disappointed. The high-absorbency and the size of the microfiber cloths will make it a bit heavy when fully soaked with water and car shampoo. 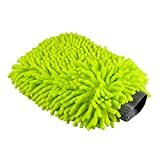 I still prefer using a microfiber wash mitt when washing my vehicles. My only real complaint about the Meguiar’s Supreme Shine Microfiber Cloths? I wish it came with different colors so it is easier to determine which cloth is for cleaning, waxing, or polishing. The light yellow color of the microfiber cloth can easily be soiled with dirt, but at least you can see the amount of dirt the cloth was able to pick up from the surface. I also noticed the towels started deteriorating on the edges after about 10 washes. Given the higher price of the Meguiar’s microfiber towels, I was expecting them to last a bit longer than cheaper towels. Maybe my expectations were too high because of the brand name? Either way, they are affordable, get the job done, and I believe are some of the best microfiber towels for the money. After using your towels, make sure to clean them properly! They tackled my testing of interior detailing, and exterior waxing and passed with flying colors! For the price, you can find cheaper towels compared to the the Meguiar’s. But when it comes to intense cleaning, waxing, and polishing, these microfiber towels are definitely one of the best.